Last Sunday we were at Excel Church in Bilston where we joined with them for the baptismal service that they were holding. 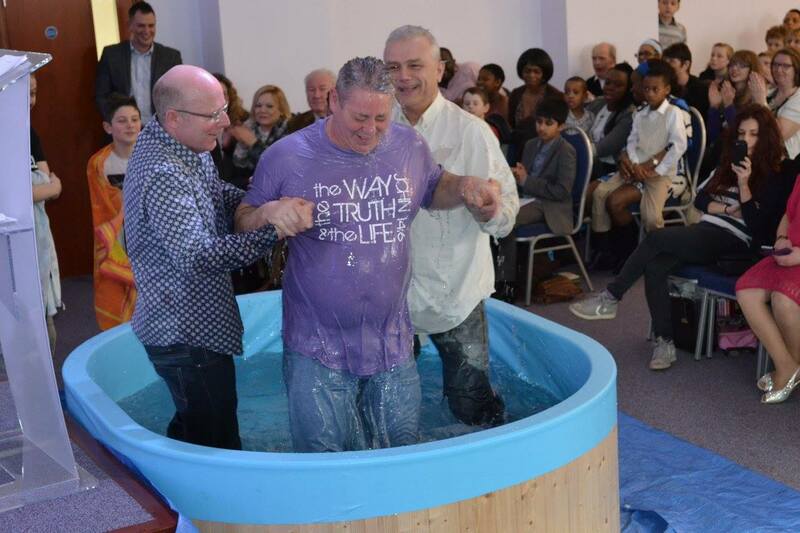 The reason that we were there was because our own Andy Thompson was getting baptised. What a great service it was and a real blessing to see Andy ‘dunked’ by Stewart Bloor and Excel’s pastor, Dek Dudfield. This Sunday we are back at Binfield Street, Tipton. Why not pay us a visit, we’d love to see you. The sermon is titled ‘I used to spend 18 hours a day in the pub’. What’s that all about? Come along and find out!